If you saw someone laying unconscious at work, at home or on the street would you know what to do to help? What if a family member collapsed suddenly in front you? What would you do? Our first aid and CPR certification programs teach simple and straightforward skill that can be used to drastically increases chances of survival during first aid emergencies. We are partnered with the top training providers in Canada that offer a variety of certification programs that meet workplace, academic and legislative requirements. Finding the right course can be a difficult process. This website outlines all of the major first aid certification programs available to Canadians. 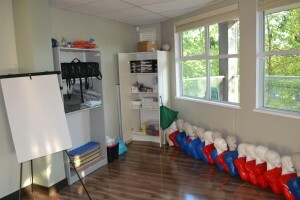 Candidates have the option of selecting either first aid with CPR or stand-alone CPR courses. If you have any question about first aid certifications or if you would like to book a private course for a large or small group use our “contact us” page from the main menu. We respond to all questions and requests within 1 business hour. 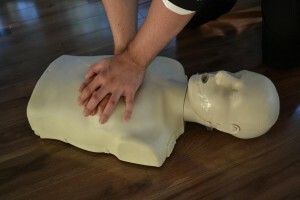 Many Canadians are required to have first aid certifications for employment or school purposes. However, it can be difficult to determine which course to take and what is involved in each course. Candidates have a variety of courses to choose from, with a variety of CPR level’s and a number of different providers to take the course with. This website will help you learn the different available first aid certification courses available to you and the providers that offer them. To register for a first aid certification course near you visit our first aid training locations page. For more information about these different levels of first aid training select the first aid course from the main or side menu. Canadians have the option of selecting from a large number of different first aid and CPR providers (example here). Candidates need to be careful when selecting a provider because some providers do not offer certification that meets government and legislative standards. This may make the certificate void and invalid and candidates will be unable to re-certify that certificate in the future. The following is a list of credible Canadian providers that offer certification courses that meet government and legislative standards for many provinces. Candidates that have previously received a certificate and need to renew certification can take a re-certification course through the majority of credible providers. To determine if you meet the re-certification prerequisites and if a available course exists for renewal select the re-certification page from the main or side menu. Candidates that successfully complete a first aid and CPR course through a credible provider will receive a certification card that is valid for 3 years. If completed through a credible provider the award meets government and legislative standards for most provinces. To register for a first aid and CPR certification course select the course of your choosing from the main or side menu bar to be directed to a page dedicated to that course. Candidates will then be able to select a location for the course and register for a course with our training providers. Our training providers offer the highest quality certification courses with the lowest prices. Register today, space is limited. First Aid Certification © 2019. All Rights Reserved.